It begins as a lark — a harmless diversion initiated by Washington, D.C., hostess Ruth Bennett as a means of entertaining her visiting niece, Sara. 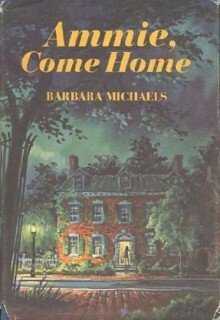 But the séance conducted in Ruth’s elegant Georgetown home calls something back; something unwelcome … and palpably evil. Suddenly Sara is speaking in a voice not her own, transformed into a miserable, whimpering creature so unlike her normal, sensible self. No tricks or talismans will dispel the malevolence that now plagues the inhabitants of this haunted place — until a dark history of treachery, lust, and violence is exposed. But the cost might well be the sanity and the lives of the living.